The Cone is the world's most beautiful scratching post and nap space for your cat. 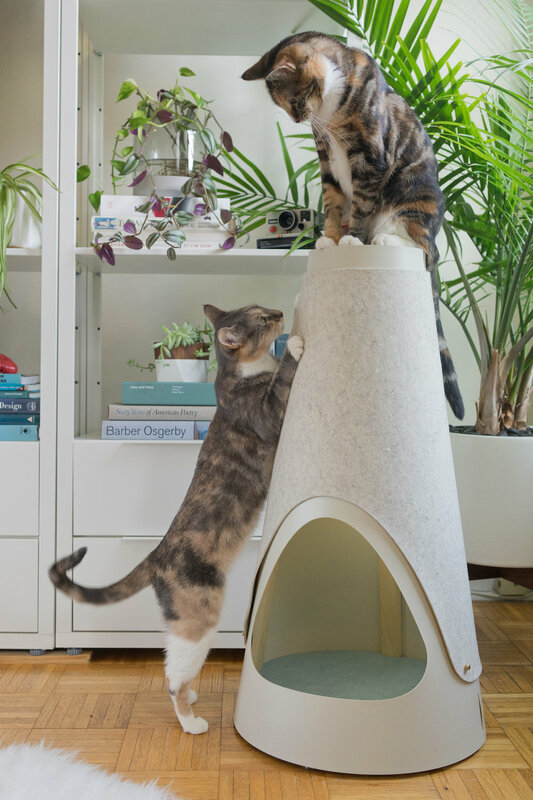 Tall and sturdy, it allows cats of all sizes to scratch, stretch, climb, and play. With its elevated nap space, The Cone is the ideal place for your kitty to curl up for a snooze. 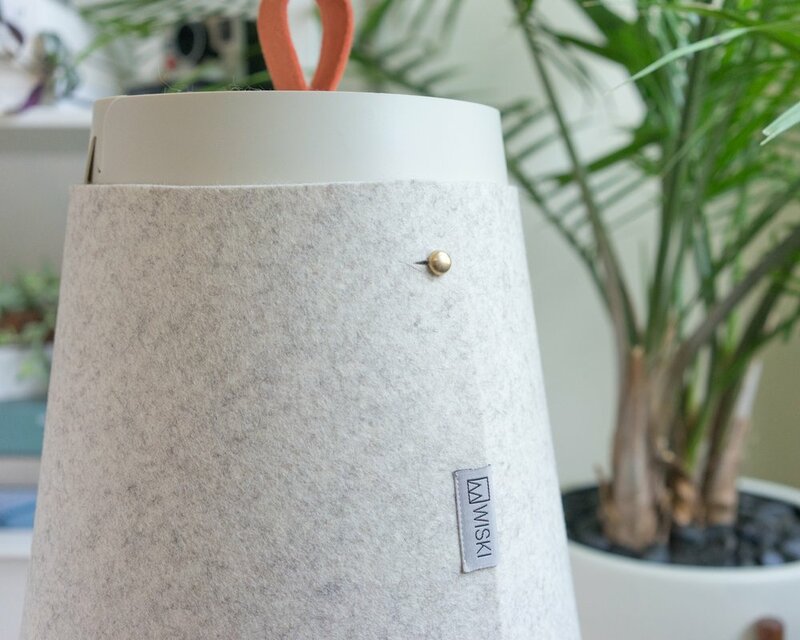 The scratching wrap comes in your choice of two materials and is replaceable, making The Cone a long-lasting addition to your home. The Cone is the modern answer to the boring beige scratching post! In nature, cats scratch trees because they're tall, and don't tip or wobble. At home, the next best thing is your favorite armchair. We made The Cone to give cats a better option. At 30 inches tall, cats can fully stretch out when they scratch. With a weighted base, it's super stable. Cats can be picky, which is why we’re offering The Cone with a choice of scratching wraps. Our felt wrap is soft with a bit of texture, great for cats that like to scratch softer materials like carpets and upholstery. Our 100% natural sisal wrap is strong and durable with lots of texture. It’s an irresistible scratch for kitties that really love to dig in. The Cone is designed to be long-lasting and not another product that will quickly end up in a landfill. When the wrap becomes worn, it can be easily replaced. Our felt wrap is also reversible, and we estimate one will last a single kitty around 6 months with regular use (3 months per side). Our premium sisal wrap is super durable and can last a single cat up to five years! The loop on the top of The Cone isn’t just cute, it’s also a convenient handle, making The Cone easy to move. The Cone has the perfect spot for your kitty to do some next-level napping. Elevated off the floor, with a soft felt pad, it's sure to be the most coveted seat in the house. And for cats who do next-level shedding, the pad is removable and easily cleaned. The Cone's subtle color scheme comes in three varieties and is meant to fit in any modern home. Every option comes with carry loops in two colors, giving you a choice of a matching or contrasting look.